Let me start by stating that getting this setup to be functional was a frustrating experience. Mostly due to my lack of Mythtv setup experience. It's not to say that I have not been using Mythtv for a very long time. It's more along the lines that I run the boxes for sooooo long without issue and therefore don't have to deal with setup very often. 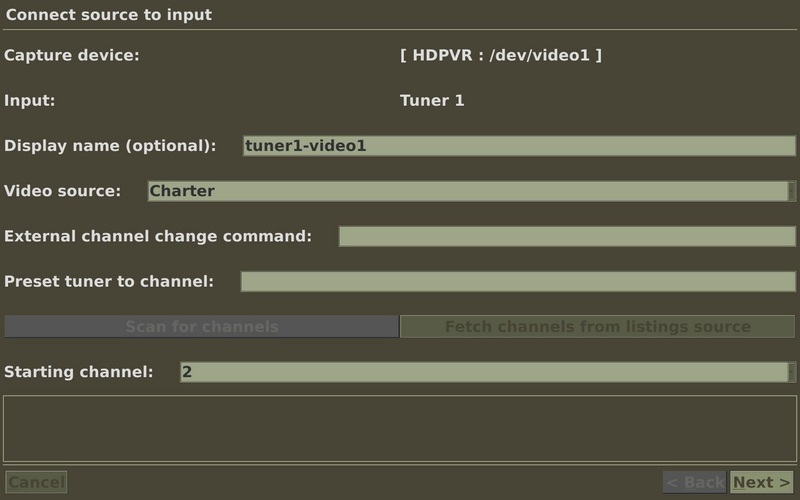 The box I'm replacing was a venerable CentOS 5 setup with a single Hauppauge PVR-250. 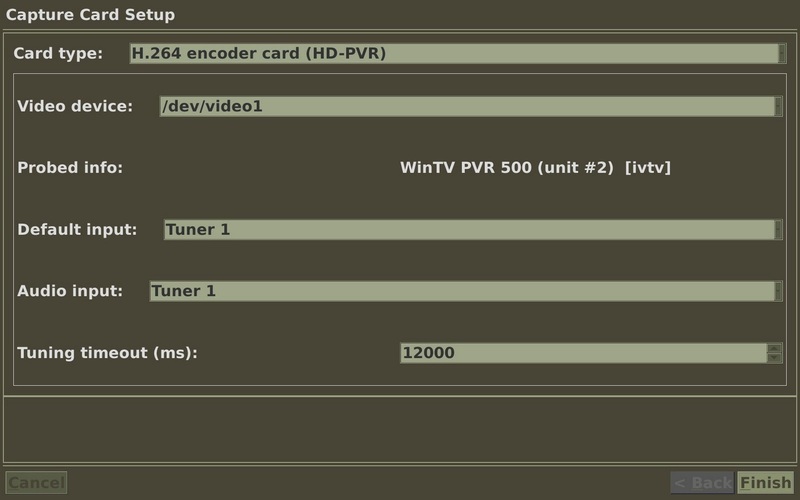 The other issue is that I introduced some new-to-me equipment (the PVR-500) and most found documentation did not directly pertain to the mythtv-0.24 version. Basic CentOS 6.0 32bit is documented in a previous post. 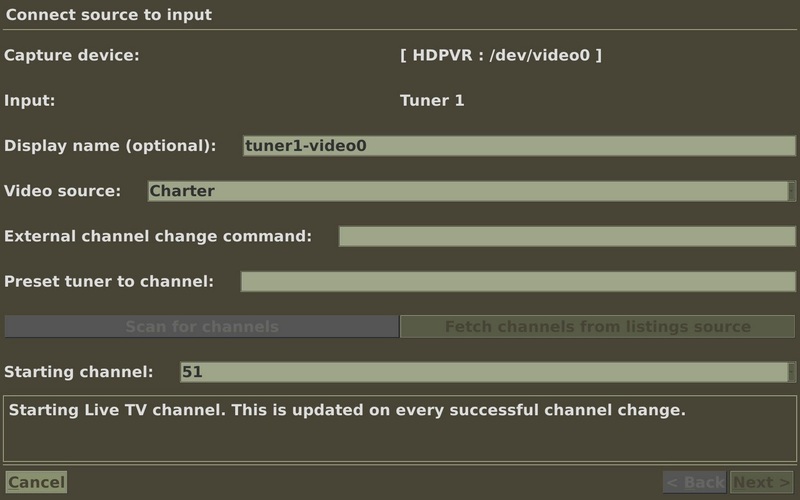 This will be more about the setup of the Hauppauge PVR-500 since that was really the only problem. There is some some information in the Mythtv wiki that is helpful. 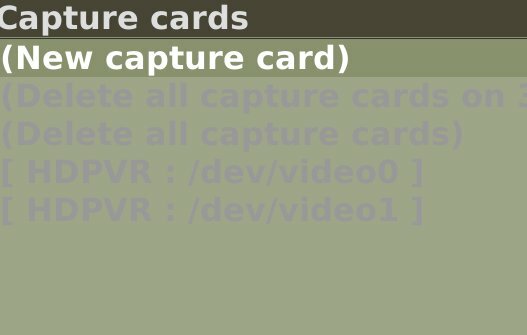 Step 2: select "Capture cards" -> "New capture card"
Step 3: from "Card type:" select "H.264 encoder card (HD-PVR)" then "Finish"
Step 4: select "New capture card" -> "Card type:" select "H.264 encoder card (HD-PVR)" again. 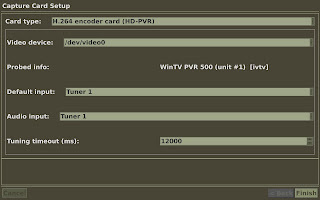 This time change "Video device:" to "/dev/video1" then "Finish"